Ocean Front Estate. A dramatic contemporary style offering 5 levels of living space. Commanding oceanviews from almost every room. Main level offers a kitchen w/granite, ss appl., hw flrs & open concept dining rm w/built-in china cab. A stunning living rm w/a hand carved mantle & gas firplc. that extends to a lrg. oceanside family rm. 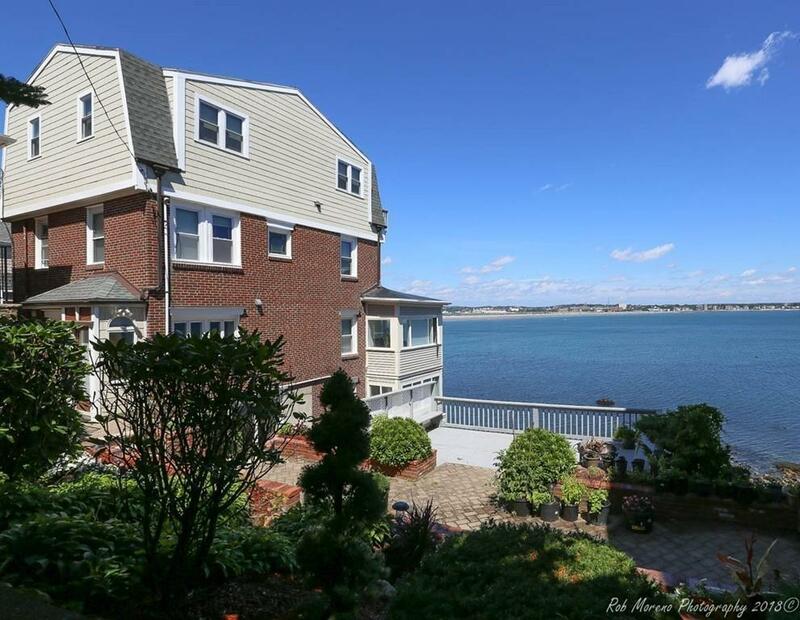 Upstairs, are 3 bedrms w hw flrs & breathtaking oceanviews. A beautiful new custom tiled bathrm. w/lrg. glass shower. The third level offers an impressive master suite w/ french doors that open up to an oceanfront deck. Also, lrg. marble master bathrm & upstairs laundry. Walk outside to a noble courtyard & dramatic landscaped terraced gardens & decks for your outside living & entertaining. A full au pair suite w/ tiled kitchen, full bath, & lrg living rm/ bedrm. Additional private level w/sep entrance for your office/ studio. Garage parking & huge storage level. Listing courtesy of Judi Moccia of Real Estate And Company. Listing provided courtesy of Judi Moccia of Real Estate And Company.